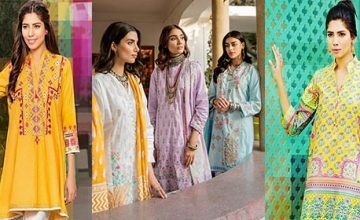 Spring Summer Unstitched Collection, of Nishat, has Elegant embroidered vibrant coloured. Unstitched two piece dress paired with an alluring printed crinkle chiffon dupatta, textured cambric shirt jewelled up with an embroidered border patch and dyed textured cambric trouser! It is a famous brand in Pakistan due to its unique outfit styles and accessories. 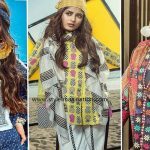 Nishat collection is so refreshing, beautiful and elegant design makes it different from other brands. 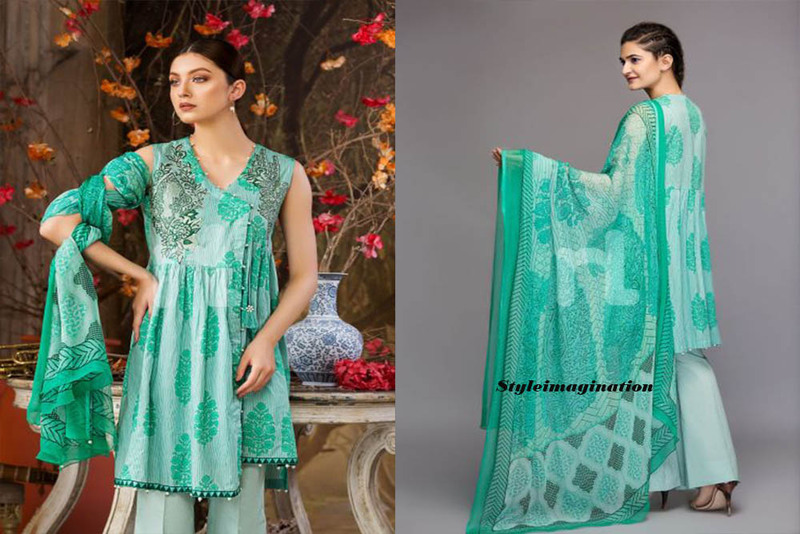 Amazing Green embroidered crinkle chiffon three Piece From Nishat Collection is looking fabulous. Printed lawn shirt has two embroidered motifs Paired with dyed cambric trouser. Chiffon silk printed crinkle dupatta making the outfit look amazing. 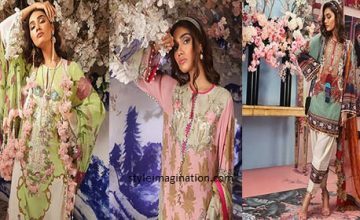 Marvellous pink embroidered crinkle chiffon three Piece From Nishat Collection is looking fabulous. Printed lawn shirt has two embroidered motifs Paired with dyed cambric trouser. Chiffon silk printed crinkle dupatta making the outfit look astounding. 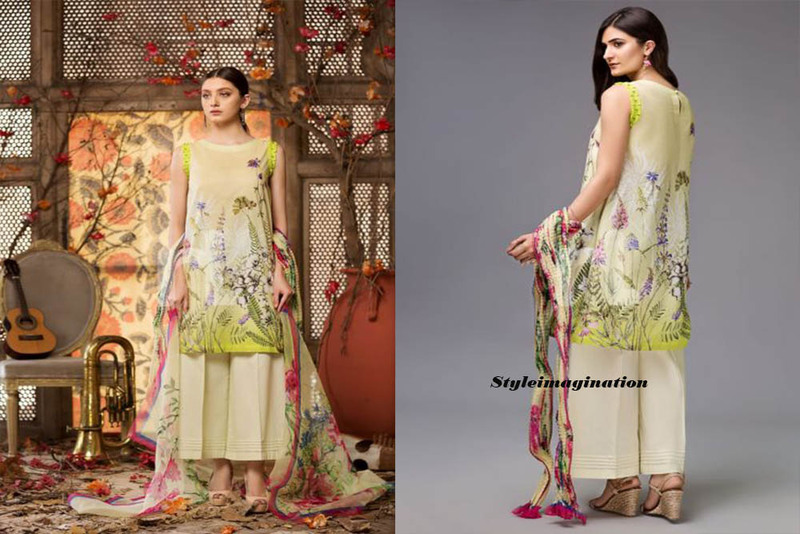 Pretty Green embroidered silk chiffon three Piece From Nishat collection is looking extraordinary. The green colour is sweet and friendly and best for Eid. Beautiful Digital printed lawn shirt has embroidered border Paired with dyed cambric trouser. Silk digital printed chiffon dupatta making the outfit look astonishing. 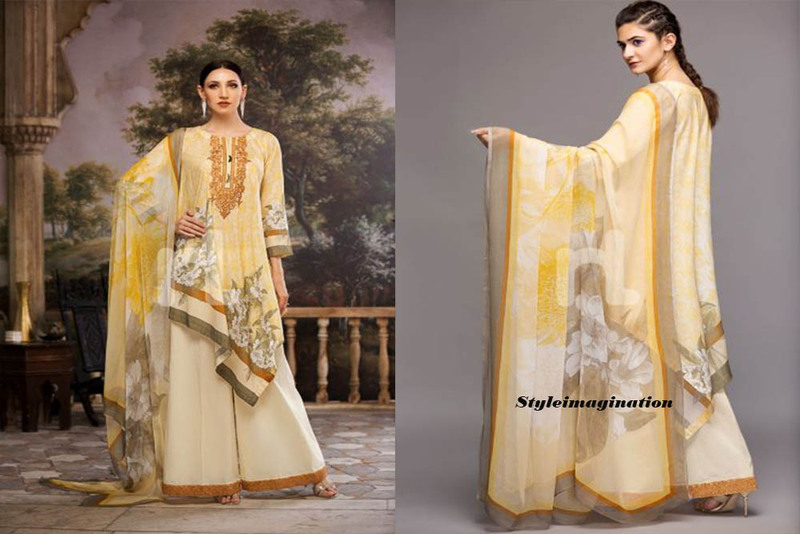 Chic Yellow embroidered crinkle chiffon three Piece From Nishat collection is looking excellent. Beautiful Yellow colour is such a bright and fresh colour, and it is best for festive. Marvellous Digital printed lawn shirt has embroidered border Paired with dyed cambric trouser. Crinkle chiffon silk printed dupatta making the outfit look lavish. Sweet Beige embroidered crinkle chiffon three Piece From Nishat collection is looking excellent. Light Beige colour is looking very sweet, and it is best for Eid. Nice Digital printed lawn shirt has embroidered neckline & border Paired with dyed cambric trouser. 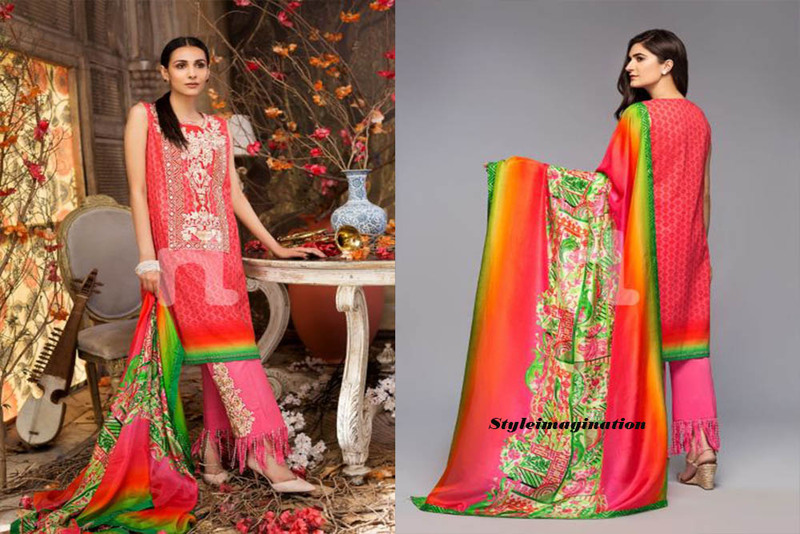 Chiffon silk printed dupatta making the outfit look startling. 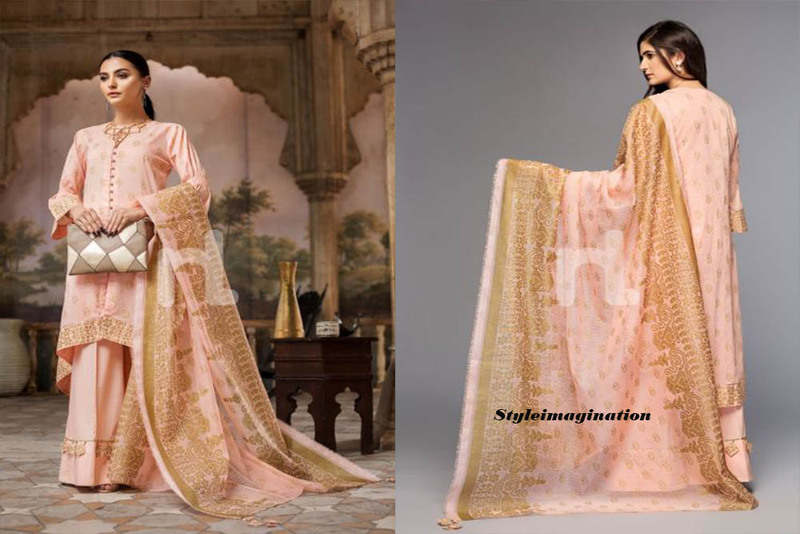 Gorgeous Pink embroidered silk chiffon three Piece From Nishat collection is looking excellent. Shaw Pink colour is such a bright and refreshing colour, and it is suitable for festive. Gorgeous Digital printed lawn shirt has embroidered neckline & motifs Paired with dyed cambric trouser. Digital Silk printed silk chiffon dupatta making the outfit look lavishing. Printed Pink viscose net three Piece suit From Nishat collection is looking hot. Pink colour is such a light and refreshing shade, and it is suitable for festive. Lawn printed shirt Paired with dyed cambric trouser. Beautifully printed viscose net dupatta is making the outfit look gorgeous. Organza silk green digital printed three Piece suit From Nishat collection is looking hot. Pure cotton stuff and the green colour is such a light and refreshing shade, and it is suitable for festive. Digital printed lawn shirt Paired with dyed cambric trouser. Elegant digital printed organza silk dupatta is making the outfit look gorgeous. 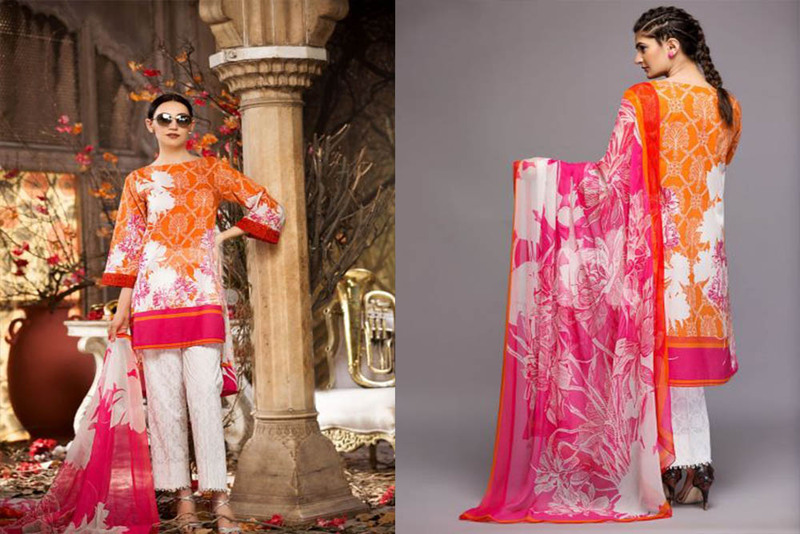 Bright Orange embroidered crinkle chiffon three Piece From Nishat Collection is looking remarkable. Bright Orange colour is such a gorgeous colour and best for festive. Pretty Digital printed lawn shirt has embroidered border Paired with textured printed cambric trouser. Printed silk crinkle chiffon dupatta is making the outfit look marvellous.